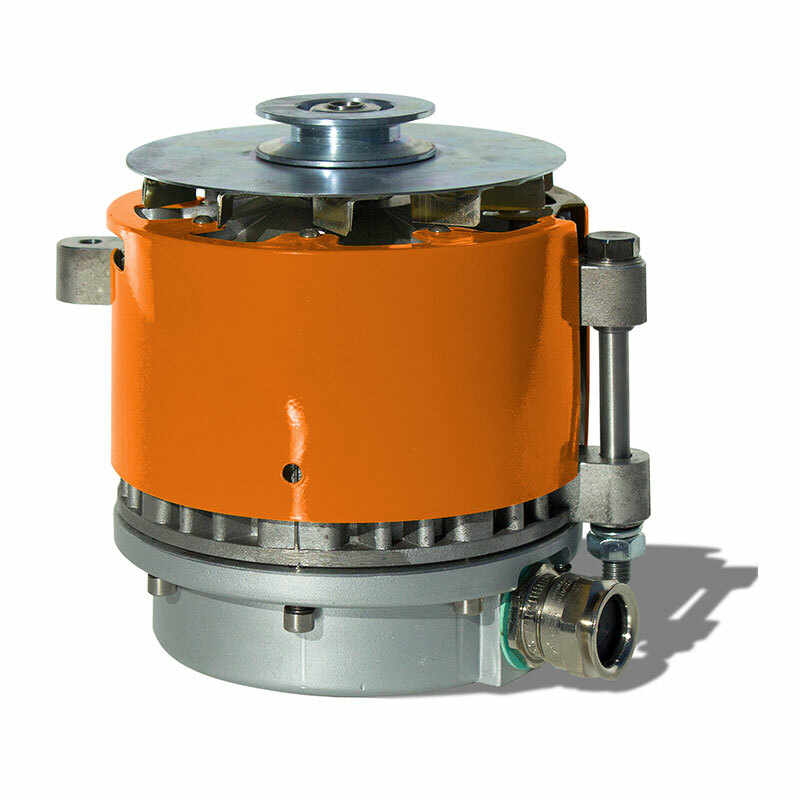 GALI flameproof alternators are designed to be installed on category 2GD IIA-IIB (Zone 1, 2 or 21, 22) in accordance with the ATEX directive. The GALI alternators can operate with engines working in potentially explosive atmospheres with the presence of gas, vapour or dust, replacing the standard alternators under these conditions. They are available in 12V/35A and 24V/15A for continuous working.